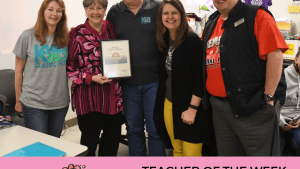 On Thursday April 4th, 2019 Mike and Julie from the 95.3 K-HITS “Wake-Up Crew” surprised Diane Harris from Granbury High School with the Cheerful Heart/K-HITS “Teacher Of The Week” award. 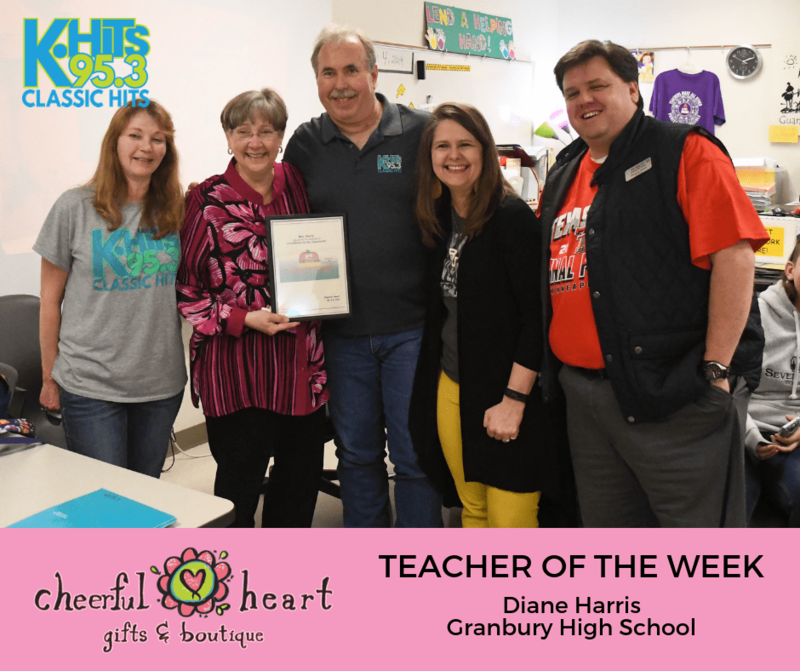 Mrs Harris received numerous nominations from her students and in return received $150 worth of prizes including gift certificates from Cheerful Heart of Granbury, Glen Rose and Meridian, along with area restaurants, plus a nice framed certificate! The award is given weekly during the school year to area teachers who are nominated through the K-HITS website at www.953khits.com. A big thanks to Cheerful Heart for sponsoring this promotion that recognizes and salutes area teachers and the hard work that they do!